Mood Board Mondays:: Current LookBook Mood . . . I hope you guys had a fun + safe 4th of July! Summer is in full swing around here . . . it almost feels busier than school season, except without the homework! Anyway, My love of black and white never ceases, but since it’s summer, I thought I would throw in a dose of muted turquoise as a color pop. It’s another one of my favorite color combos. I thought it might provide some color palette inspiration for ya. Hope you are enjoying your day! This entry was posted in Mood Board Mondays and tagged black & white, mood board, summer, thelookbookphilosophy.com, Turquoise on July 8, 2014 by thelookbookphilosophy. The Beauty of Contrast . . .
Now that’s a gorgeous stairwell . . . 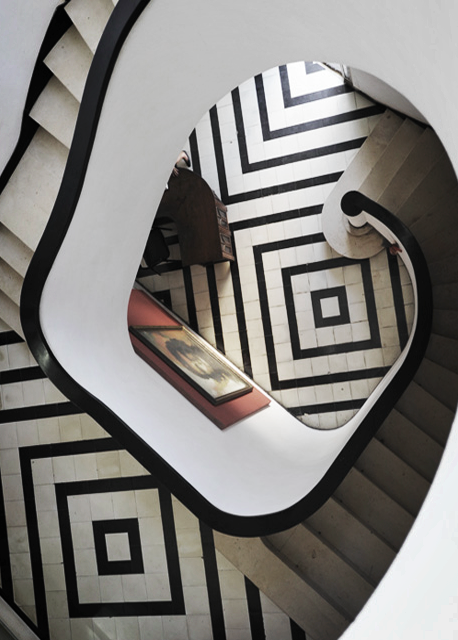 This entry was posted in Architecture, Design, Interior Design, Interiors, Living Spaces and tagged black & white, stairwell, Tile on May 14, 2012 by thelookbookphilosophy. Here’s another image from the dining room of my Paris flat :) . . . Someday soon. . . !!! 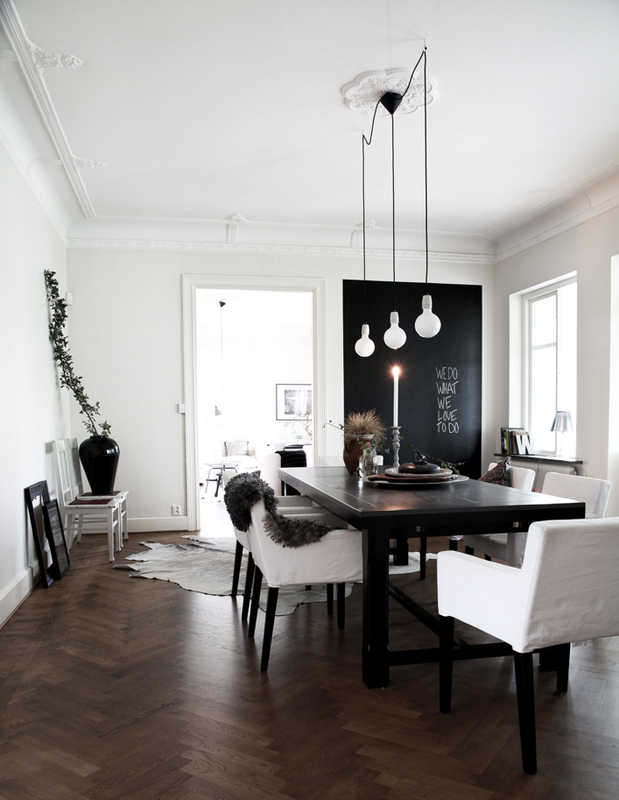 This entry was posted in Architecture, Inspiration, Interior Design, Interiors and tagged architecture, black & white, dining room, herringbone wood floors, Paris Flat, style on April 30, 2012 by thelookbookphilosophy.